It’s very easy to take a day trip into Rome from Pergolaccio. You can catch a train from Orvieto which will get you to Rome in about two hours. You can check the schedule here. Orvieto is about 1/2 hour drive from Pergolaccio, and you can park in the back of the station. Make sure you buy your tickets before you get on the train, either online, or else at the station. Staying in Rome: Guests often begin or end their trip in Rome and ask me for recommendations (which I am happy to give!). Please visit my blog to see what’s going on. And I also have an app Eat Rome, a foodies guide to Rome which you can download to your iPhone or iPad. If you’re looking for a place to stay in Rome, we have a very nice, one-bedroom apartment, which we rent out. You can find out more about it here. 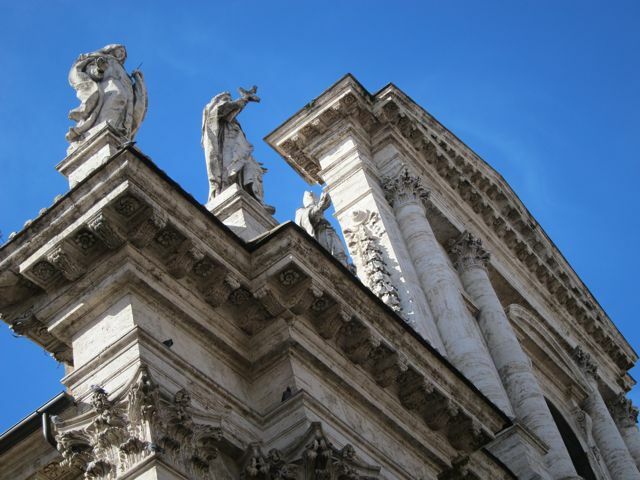 I also lead culinary tours of Rome, as well as prepare culinary itineraries. To find out more, visit this page on my blog. For more help planning your trip you can depend on Italy Hotline, an agency that can organize anything you have in mind: from cell phone rentals, car and drivers to cooking classes and visits to museums. They are very resourceful and can also help you in Umbria as well as other Italian Cities. Please feel free to mention my name.